Brands send a lot of email in November and December—far more than any other time of the year. Which makes sense: consumers are primed to buy, and the holiday season is huge for many brands' bottom line. Last year, we witnessed the greatest industrywide annual increase in holiday online shopping revenue and website visits in the history of online shopping. According to predictions, the 2018 holiday retail season is poised to eclipse 2017's. But here's the catch. With everyone ramping up their email volume at the same time, you're competing not only for your customers' attention in the inbox but also for available resources at the ISPs delivering your mail. Sending too many emails (especially if they go unopened) puts you at risk of ending up in the spam folder and potentially damaging your sender reputation with the ISPs—not a good way to start the new year. They key is quality over quantity. To get your emails opened and maximize conversions, use strategies that deliver content that's relevant and personal to customers. To do that well, website visitor identification is essential. Abandoned-cart emails are the most common triggered email type, and the most straightforward. When a shopper puts something in the cart and leaves without purchasing—which happens about 70% of the time on retail websites—persuading the shopper to complete the sale often doesn't take much. Abandoned-cart reminders sent over the subsequent few hours typically result in 10-25% of abandoners' making a purchase (with free shipping or dollars off tipping it toward the higher end of that range). Think how such emails can affect the bottom line. If over the course of a day on a retail website 1,000 carts are started and 700 are abandoned, only 300 result in a sale. If an email is triggered to those 700 abandoners, and 10% (70) follow through with an order with an average order value of $100, that's an additional $7,000 in revenue per day. Multiply that by 365 days in a year, and that's an additional $2.5 million in annual revenue. Of course, it's not quite so easy, because most website visitors don't sign in or enter any identifying information about themselves before abandoning a cart—and an email can't be triggered if the shopper can't be identified. It's not uncommon for ESPs to be able to identify only 30% or less of cart abandoners; however, with today's advances in technology, you should be able to identify at least 60% or more (and there are easy-to-implement services that work with your ESP to do this). Applied to our earlier example, identifying 30% of 700 cart abandoners (210), with a 10% conversion rate at $100 per order, translates into $2,100 per day—or more than $750,000 in revenue per year. But if 60% is identified, that annual figure rises to over $1.5 million. And if you bring your identification rate up to 75%, which is a realistic target with the right technology, this figure rises to nearly $2 million. As you can see, the more website visitors you can identify, the more revenue you will generate. 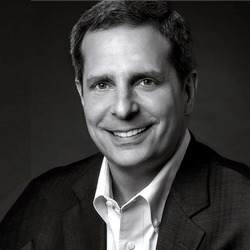 Bob Gaito is CEO of consumer insights and interaction services provider 4Cite, which he co-founded in 2010. He has 20+ years of experience in servicing direct marketers. In early 2000, he founded I-Centrix, which is now part of Epsilon.